From large scale corporate events for thousands of employees, to a 10x10 trade show booth, MEGA Event Production provides the experience and creativity to exceed your goals and ensure success. 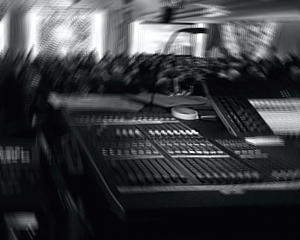 From complete event production and management to simply providing consulting and staffing assistance, we make executing an event easy and painless. Years of experience with conferences, corporate meetings, award shows, formal dinners, galas, product launches, team building, holiday parties, and special events make the difference. We start by consulting with you to fully understand your needs, your audience, and budgetary requirements and then develop a detailed plan to meet your goals. A great deal of time is spent in the planning, design, and pre-production stage to ensure things go smoothly and minimize risk and uncertainty in projects. Our team of dedicated staff provide event planning & management, theme development, concept & production design, project management, rental solutions, and logistical support. Working closely with trusted external vendors and contractors, we negotiate the best possible rates for outside event services and use bid processes whenever possible with detailed RFP's. Local regulations and permits are another area we can help with, ensuring that your event is compliant with all relevant agencies. 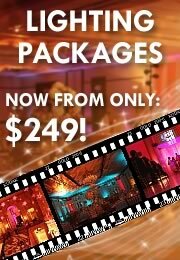 In addition to customized events, we have a number of package events available to enable you to get more for your dollar. From themed corporate events such as casinos, carnivals, and haunted houses to complete themed rooms including 70's, 80's, and 90's... we have a package that can work for you! Putting together that spectacular special event you envision may be challenging, but finding the professional help you need, doesn't have to be. From theme design to room and stage décor…from music in the background to name acts and attractions in the spotlight…from lights, sound, and special effects to the people who call the cues, set up and strike. When these parts are assembled and managed imaginatively and professionally, events become special for everyone involved.